Recreation Ground regularly awarded a Green Flag! Bollington Recreation Ground has been awarded the prestigious Green Flag once again. Congratulations go to all those who have worked so hard to maintain the Rec in the outstanding condition that it now is. 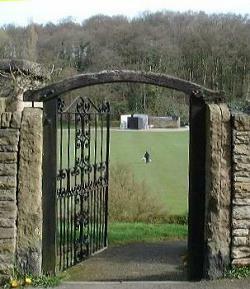 The Recreation Ground is the main formal recreational area in Bollington, the other being the Atax fields at Bollington Cross. Located between the Macclesfield Canal, Palmerston Street and Adlington Road, this ground provides facilities for cricket, football, tennis and bowls. While regularly maintained over many years by Macclesfield Borough Council, the quality of the Recreation Ground declined. In order to arrest this and bring about improvements to the fabric and facilities a support group was established – the Friends of the Recreation Ground. This group, originally led by John Kershaw, set up a partnership with Macclesfield Borough Council, now Cheshire East Council, to manage the continued maintenance and improvement of the ground. 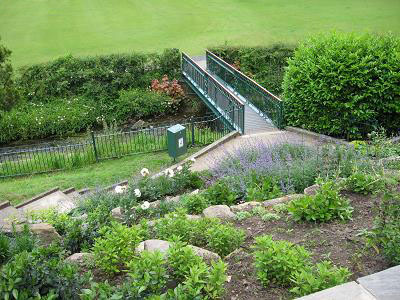 Significant improvements were made in 2008 to rescue the ground from this decay and it now provides a first class resource to the town recognised by regular Green Flag awards. The Rec, as it is known to its friends, has a great history recorded on the History of the Rec page. A major refurbishment was carried out at Bollington Recreation Ground in 2008 and to celebrate this an English oak tree was planted. This was also to commemorate the Cheshire Year of Gardens ’08’, which was complementary to the Capital of Culture year in Liverpool. Officiating at the planting was the Mayor of Macclesfield, Cllr. Barry Burkhill, and the Town Mayor of Bollington, Cllr. 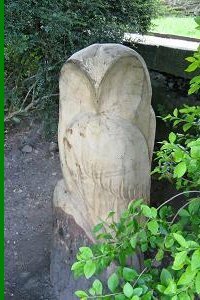 Brenda Lingard, and the arrangements were carried out by Cheshire Landscape Trust and the local Tree Warden, Mr. John Kershaw. The previous river bridge had decayed to the point where it was not safe to use. The new one provides a stout access from the town to the playing field, providing access from Palmerston Street and Round Gardens. 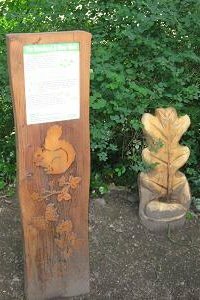 A variety of carved wood animals and other natural items have been planted through the wooded area, some with interpretation boards to help visitors identify the animals and birds they might see. 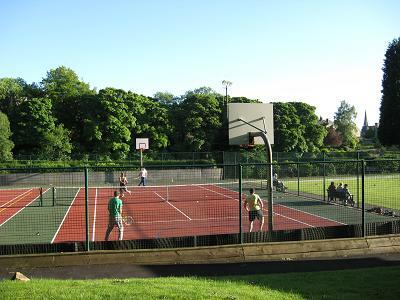 The ever popular tennis courts have been re-surfaced in two colour material and fenced. The bowling green has also been nicely fenced. An excellent new hut has also been provided for the bowlers. 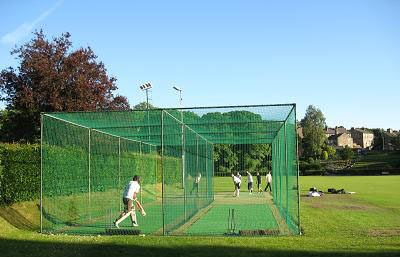 The cricketers now have better quality practice pitches surrounded by modern safety netting. The cricket pitch itself is also maintained in excellent condition by CEC groundsmen.